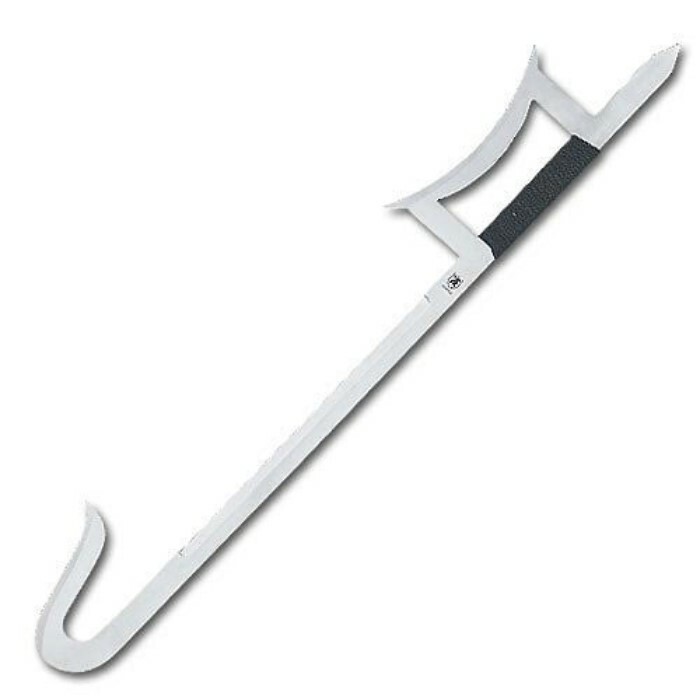 Chinese Hook Sword | BUDK.com - Knives & Swords At The Lowest Prices! 2 or more only $12.00 each! This martial arts sword is ready for combat use! This type of design is customarily used in pairs to give the wielder numerous defensive and attack options. This sword measures 32" in length and features 420 stainless steel construction. The 21" blade offers a razor sharp hook at one end, cord- wrapped handle guarded with the traditional half moon design, and a sharp point at the opposite end. All of these features can be employed as part of this sword's overall combat use. This is sure to be a hit, whether you use it or simply display it!